Legislation has been submitted to the House of Delegates to repeal authorization for the use of speed cameras in Maryland. Delegate Michael Smigiel (R, Kent, Queen Anne's, Cecil, and Caroline Counties) has sponsored House Bill 251, along with co-sponsors William Frank, Jeannie Haddaway-Riccio, Stephen S. Hershey, Jay Jacobs, Susan Krebs, Warren Miller, Wayne Norman, Anthony O'Donnell, Nathaniel Oaks, Neil Parrott, Justin Ready, and Steven Schuh. Read the Bill Text and Legislative Summary for HB251. The bill would repeal "the authority of counties and municipalities in the State 4 to use speed monitoring systems in the State 4 to use speed monitoring systems" and also the SHA's freeway workzone speed camera program (which currently operates "regardless of whether workers are present") by completely striking transportation articles 21-809 and 21-810 from the books. 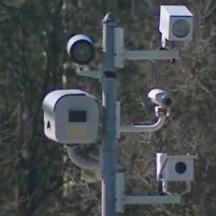 Baltimore City's disastrous speed camera errors, in which it has been admitted that hundreds of innocent motorists were found to have been wrongly ticketed by faulty speed cameras provided by speed camera contractor Xerox Corp, and that the contractor had kept a faulty camera online for 8 months after grossly erroneous speed readings were first noticed. The cameras were so flawed that they even issuing a ticket to a stationary vehicle. Charges that a police officer's signature was forged on thousands of citations by employees of Riverdale Park's speed camera program and speed camera contractor Optotraffic. A scathing audit of the SHA's speed camera program, which revealed that the State's 'SafeZones' programs skipped on the testing of equipment, and that the state flouted its own law regarding a requirement that speed cameras be 'independently' certified. Delegate Justin Ready commented on the bill in an email "I have consistently opposed speed cameras as an infringement on privacy and a blatant money-grab. They do very little for safety. Worst of all, they do not allow due process for those who receive a ticket. Now we find out that there are widespread inaccuracies. It’s time for this misguided law to be repealed, I’m very proud to be a co-sponsor." Delegate Wayne Norman also expressed his concerns about the current system: "The admission of recent failures of the systems in Baltimore City are, I believe, just the tip of the iceberg. There was not enough evaluation of the systems nor the systems management before Maryland rushed head long in to the implementation of this mess." Speed camera repeal would need to clear enormous hurdles, and will likely face stiff and well funded opposition from local governments and speed camera contractors which profit from scameras. Before being permitted to a vote on the house floor, the bill would need to be approved by the House Environmental Matters Committee (chaired by Delegate Maggie McIntosh). The Environmental Matters Committee heard testimony on a serious speed camera reform bill last year, but the committee leadership did not even allow it to come to a committee vote, despite having received extensive evidence of innocent people getting speed camera tickets and frequent violations of the law by speed camera programs in March of 2012. Since then we have seen the situation continue, with innocent motorists being falsely accused of speeding by Baltimore City and Speed Camera Contractor Xerox Corp, proof that the city knew about the problems for many months and left the cameras online, admissions of serious flaws in the SHA's speed camera program, and revelations of gross violations of the law such as outright FORGERY and FRAUD by the Town of Riverdale Park's speed camera program. So now the Environmental Matters Committee will have the opportunity to consider repeal, and to decide whether they are OK with the fact that innocent people are being FALSELY ACCUSED under the authority which the state legislature created. UPDATE: A Hearing is now scheduled for HB 251 in the House Environmental Matters Committee on March 5 at 1pm. Be there or be square.